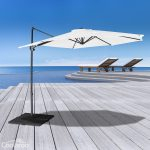 Specialised shade fabric canopy blocks up to 90% of UV rays, is durable and easy to maintain. 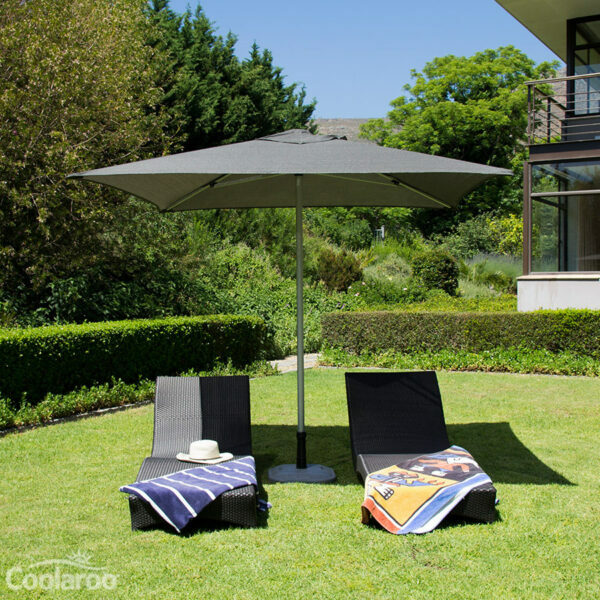 Coolaroo manufacture long lasting stylish umbrellas that stand the test of time. 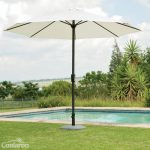 The canopy is manufactured from a specialised knitted fabric that breathes to keep you cooler while blocking 90% of UV rays for optimal sun protection. Please Note: Pavers and Bases are not included.